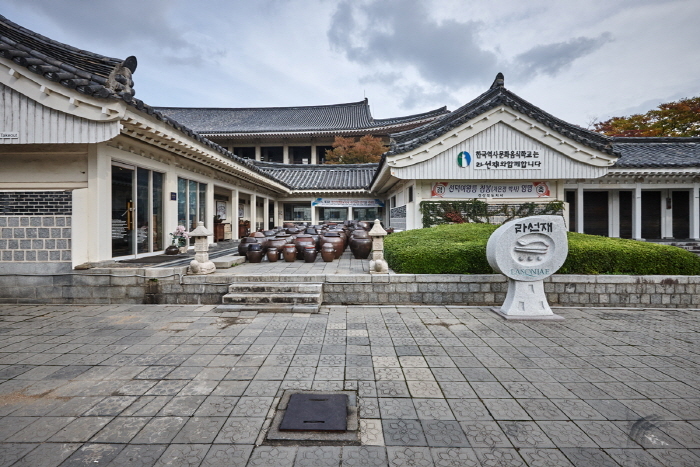 BomunTourist Complex is the international tourist district of Gyeongju. 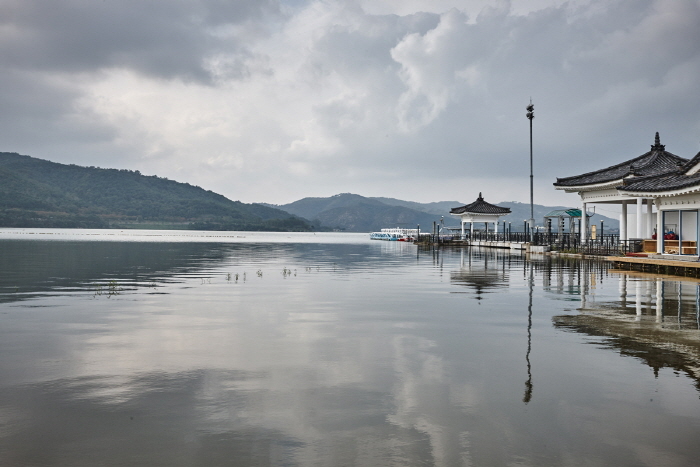 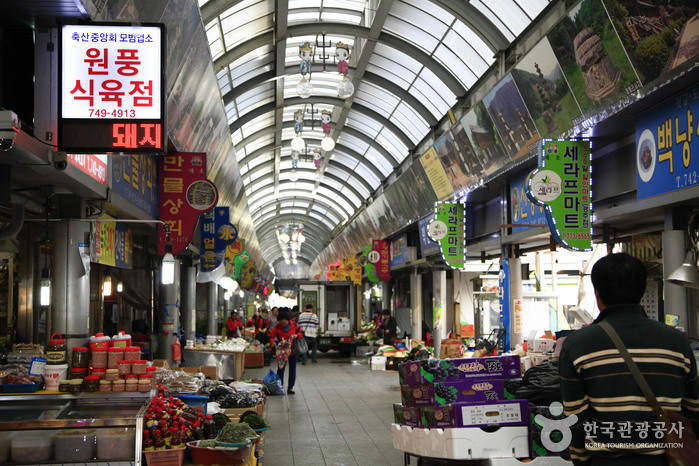 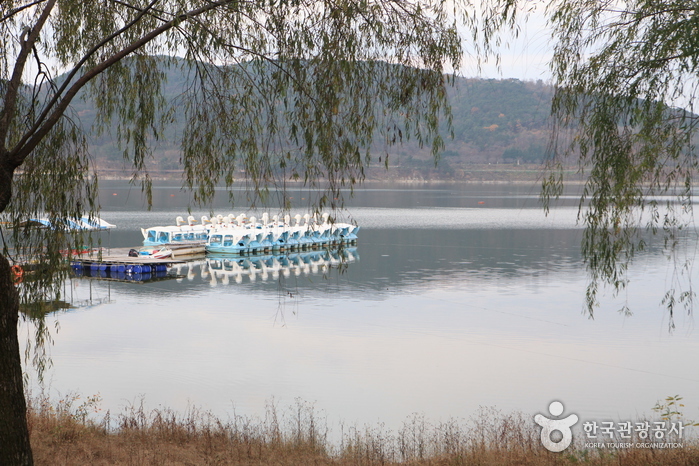 This tourist district is formed with Bomunho Lake at its center, located about 10km east of downtown Gyeongju. 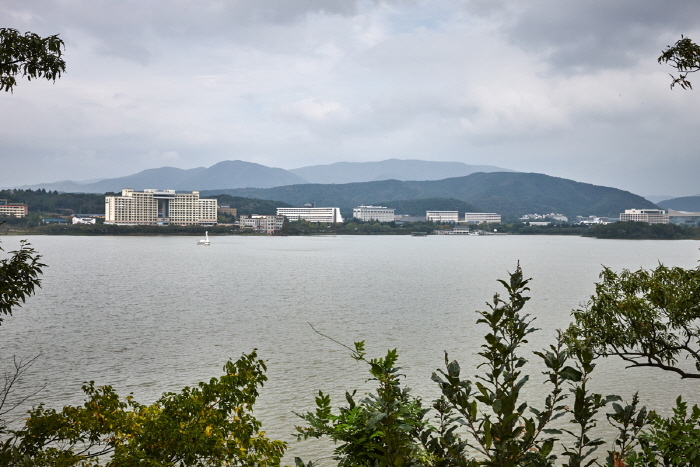 The dimensions of the area is 19.38 square km, and it is designated as a spa and special tourist district. 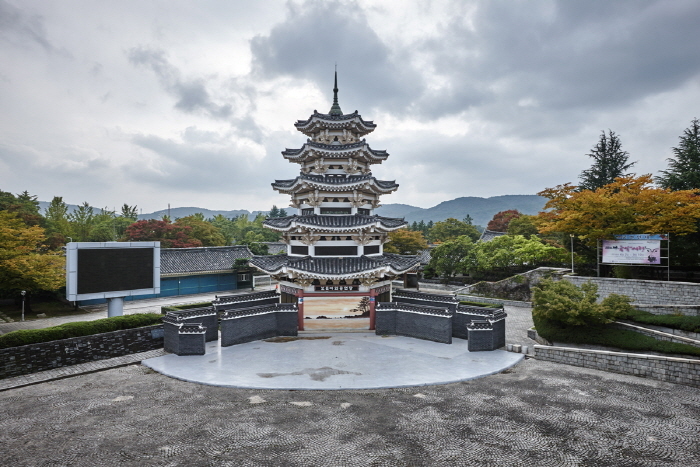 It is a total tourist complex that opened in April 1979. 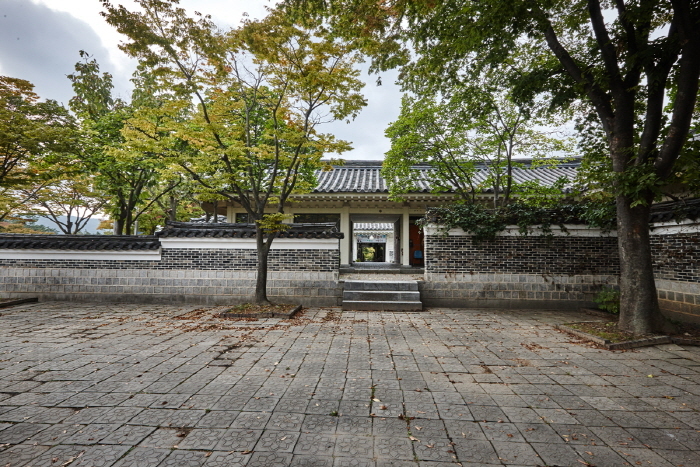 At the entrance, the stream from Deokdongho Lake flows in, powering a water mill inside, and flows on to a 12m artificial waterfall. 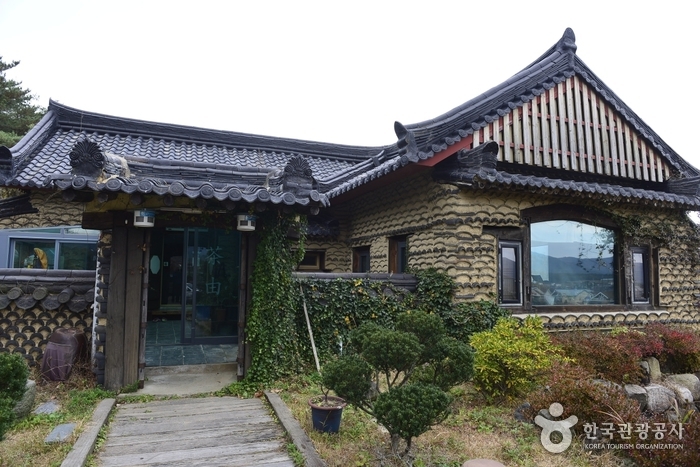 Within the Bomun Tourist Complex are facilities designed in a traditional style such as the tourist center, international conference room, golf resort, shopping mall, and a tourist hotel. 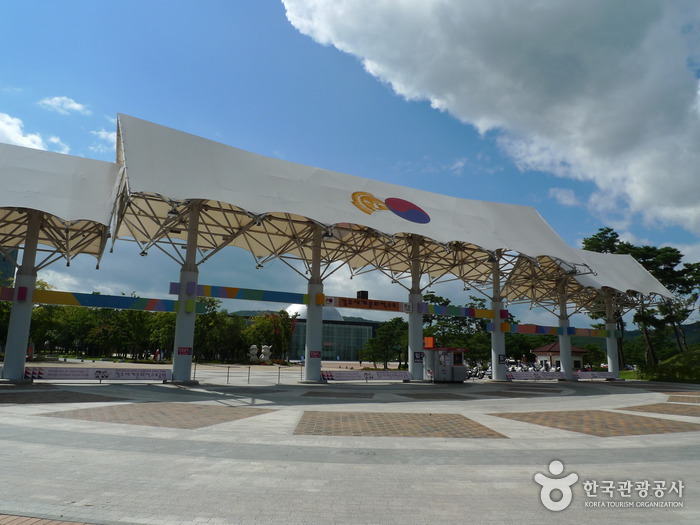 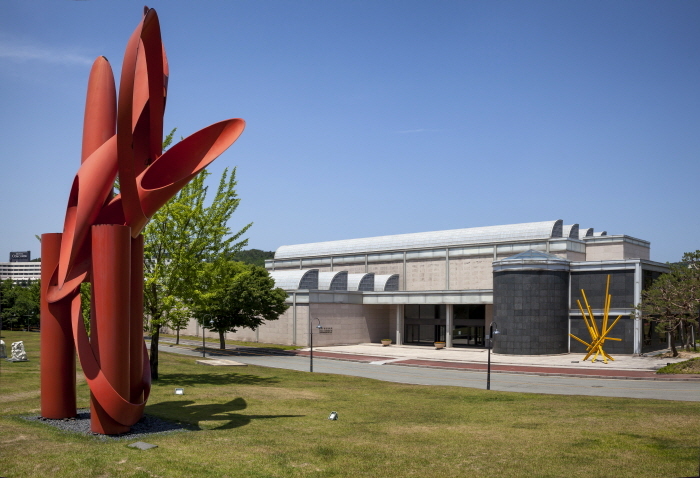 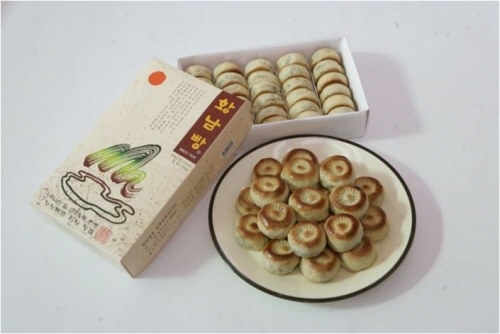 It contains many amusement facilities such as a ferry port, Yukbu Village, Seonjae Art Gallery, Bomun Outdoor Performance Hall, drive-in theater, and Gyeongju World. 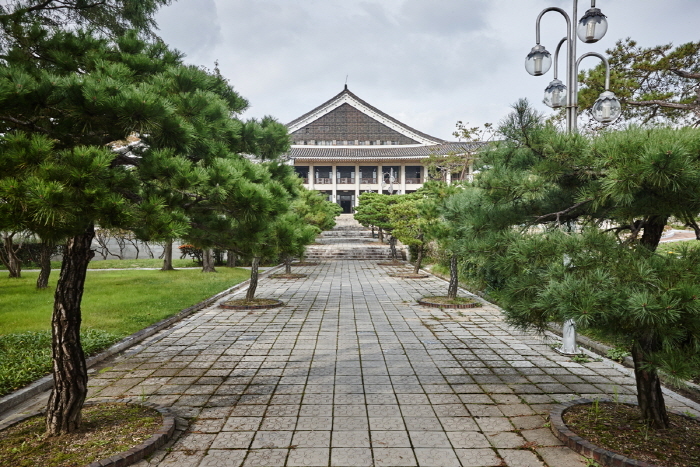 Every year from April to January the following year, traditional Korean music (Gugak) performances are held free of charge at Bomun Outdoor Performance Hall. 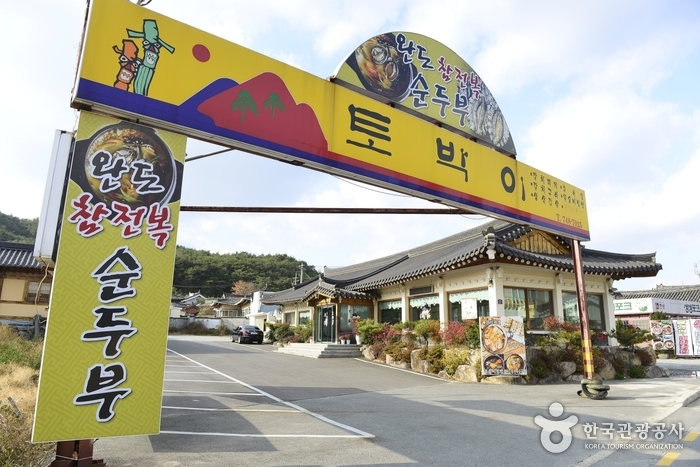 You can also enjoy the hot spring in the Bomun District. 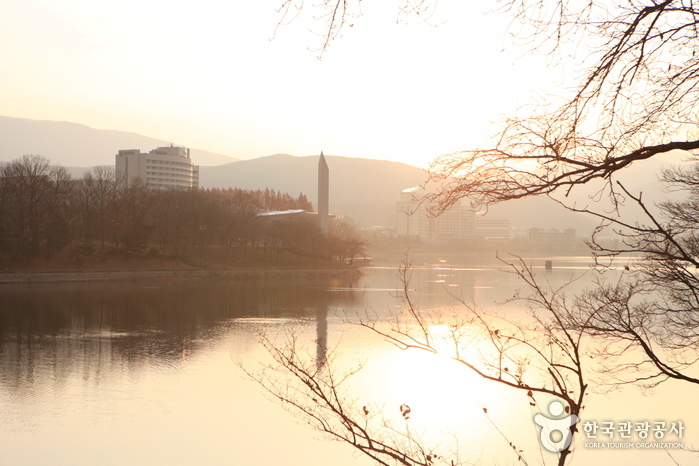 Along the lake is a long walkway with many cherry trees. 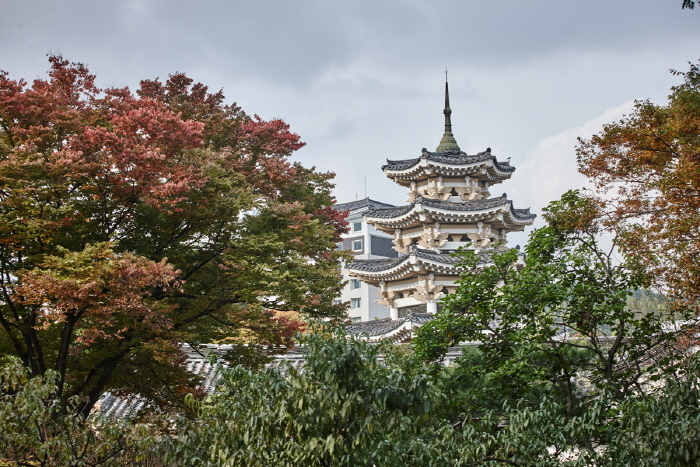 In April the whole walkway is covered with pink petals of cherry blossoms. 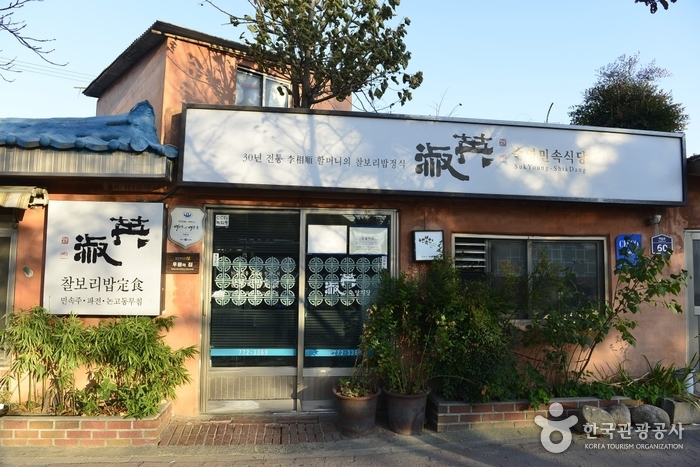 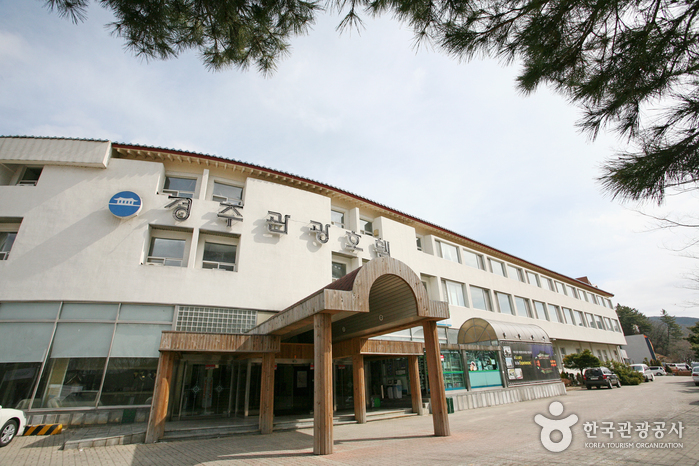 Across from Gyeongju Intercity Bus Terminal, take Bus No. 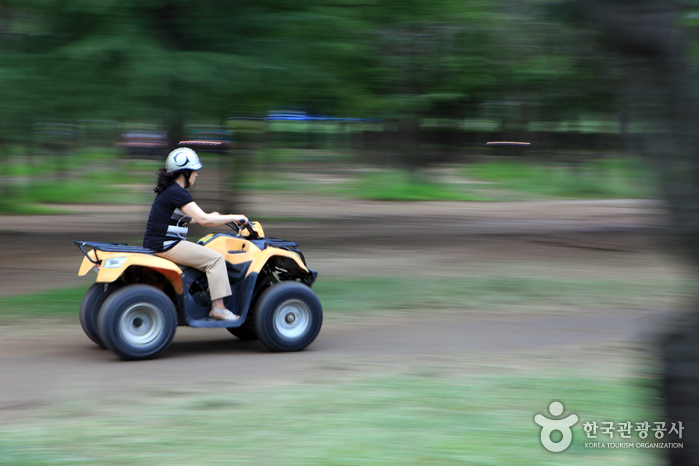 10 or 18 and get off at Bomun Lake Resort. 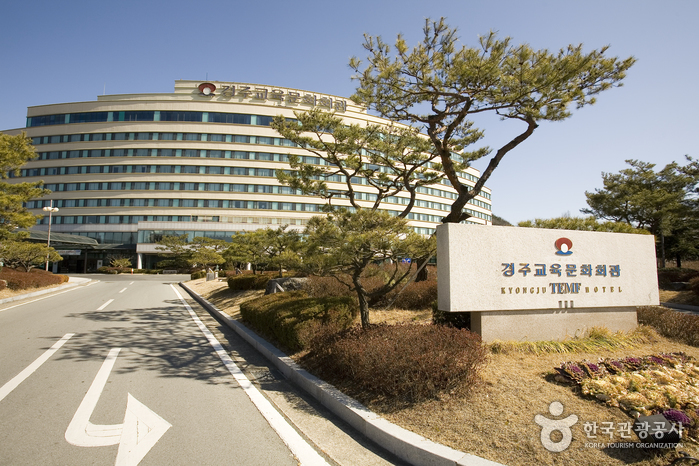 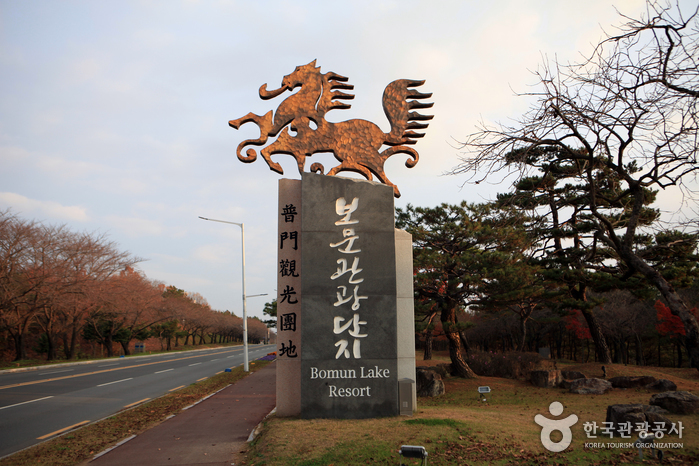 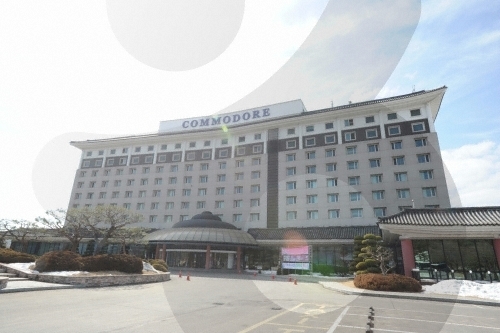 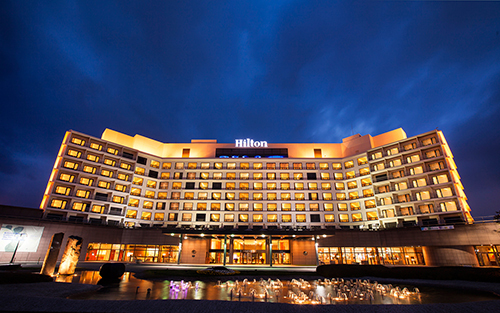 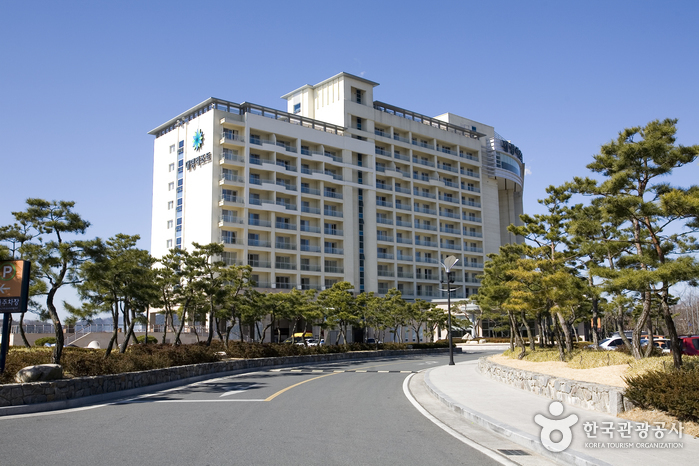 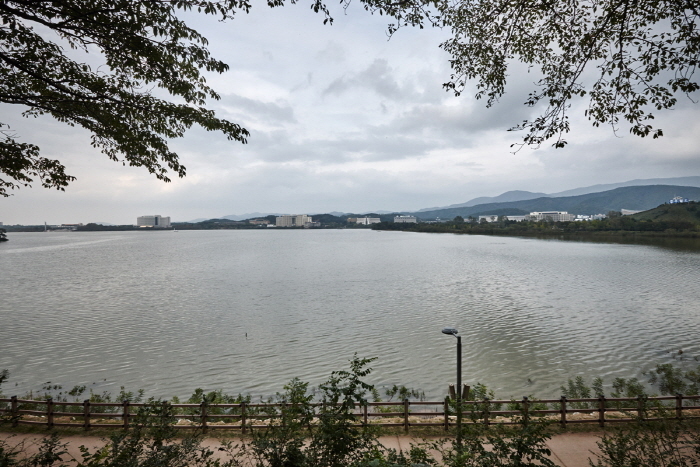 From Gyeongju Intercity and Express Bus Terminal or Gyeongju Station, take a taxi to Bomun Lake Resort (approx. 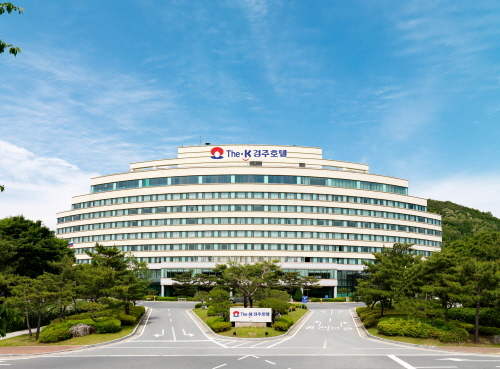 20-25min).